Our community upgrades are just getting started! Westdale Creek Apartments have been working tirelessly to enhance the look, feel and enjoyment of our community for all of our residents! One of the biggest projects we had this year was a complete swimming pool and sundeck facelift. Our pool renovations didn't stop our residents for enjoying a splash in the pool this summer! Our sundeck has been completely replaced with a composite wood decking that will last for years to come! 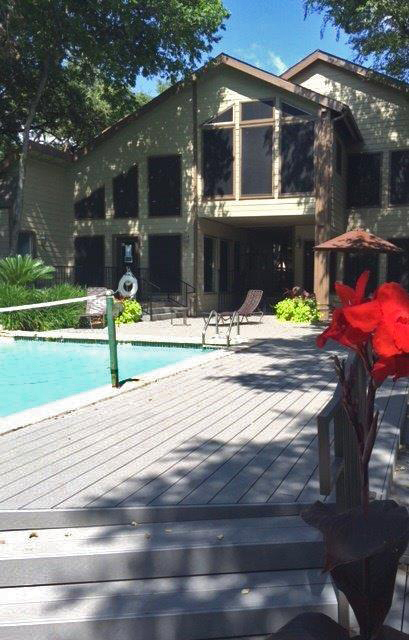 The decking material keeps cooler than most wood decks, which is especially important during those hot Texas summers! We are currently working on the finishing touches to our newly renovated swimming pool area and sundeck amd are awaiting our new patio furniture, due to arrive in the coming weeks. Make sure to stop by and check out our beautiful pool!